Naomi F. Rothfield, M.D., is professor of medicine in the Division of Rheumatology at the University of Connecticut School of Medicine. She is an internationally renowned rheumatologist with special expertise in the management of systemic lupus erythematosus, scleroderma, and Raynaud disease. Her clinical research involves investigating new therapies for these and related conditions. In addition to her work at UConn Health, Dr. Rothfield is a consultant to several other area hospitals. A 1950 graduate of Bard College, Dr. Rothfield received her medical degree from New York University School of Medicine in 1955. She served her internship at Lenox Hill Hospital in New York City and completed a fellowship in rheumatology at New York University School of Medicine. 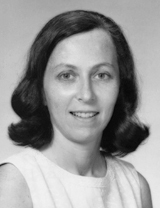 She went on to hold several teaching positions at NYU, becoming assistant professor in 1964. Dr. Rothfield was a member of the first faculty of the University of Connecticut School of Medicine, coming to UConn in 1968 as associate professor in the Department of Medicine. She became full professor in 1973. From 1973 to 1999, Dr. Rothfield served as chief of the Division of Rheumatic Diseases. She also directed the National Institutes of Health/University of Connecticut Multipurpose Arthritis Center for 20 years, beginning in 1978. Dr. Rothfield’s honors and awards have included the 25 Pemberton Memorial Lecture from the Philadelphia Rheumatism Society (1975); Michael Einbender Distinguished Lecturer from the University of Missouri Arthritis Center (1979); 18th Annual Charles W. Thomas Lecturer from the Medical College of Virginia (1988); Knowles Lecture from the Northern California Rheumatism Association (1992); Solomon A. Berson Medical Alumni Achievement Award in Clinical Sciences from NYU School of Medicine (1995); Master of Rheumatology from the American College of Rheumatology (1995). Dr. Rothfield has published more than 150 journal articles on rheumatologic diseases and has authored 42 book chapters. As a member of the Institute of Medicine Committee on the Safety of Silicone Breast Implants, she authored a 1999 book reporting the group’s findings. Dr. Rothfield’s publications also include 60 abstracts and seven invited articles. She has served on advisory committees for numerous organizations, including the National Institutes of Health, the federal Food and Drug Administration and the National Institute of Arthritis and Metabolic Diseases.